Surveys show that nearly 85% of employees have found or obtained their job via . Additionally, it’s estimated that referrals are associated with a 2.6 to 6.6 percent higher chance of an accepted job offer. However, all of these statistics are referencing external networking. refers to broadening your network of industry professionals and other individuals for mutually beneficial purposes including searching for a job or looking for a referral. 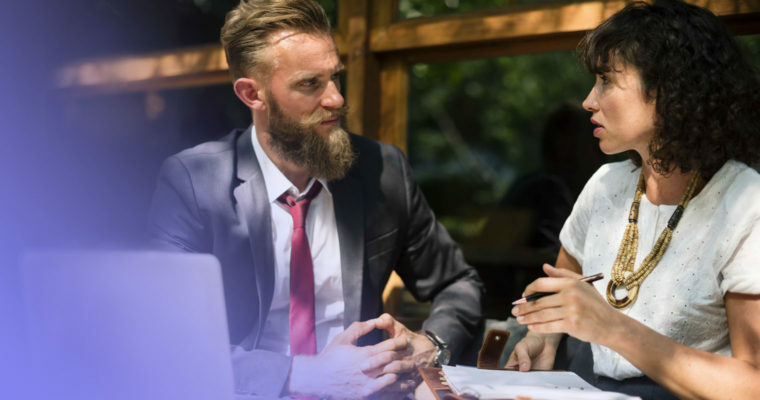 Internal networking refers to reaching out and connecting with colleagues within your organization, even if your job doesn’t require you to do so. What is internal networking? Why is internal networking so important? has become increasingly important in the workplace, and part of that is having a strong team of employees who are comfortable collaborating and working between departments and disciplines. When you continually network with other employees within your company, you’re building relationships, establishing rapport, and cultivating a mutual trust and respect that will enable higher productivity and a better overall work experience. Networking with others in your organization can provide exclusive knowledge on job opportunities before they are public knowledge. If you work for a great company that you want to grow with, knowing about internal positions as early as possible could be a key factor in your career development. Building interdepartmental relationships will help you with that. When you’re trying to , often one of the hardest parts is catering your resume to your new field of work. If you don’t have related work experience on your resume, it can be very difficult for a hiring manager or recruiter to see how you’d be a good fit for the position you’re applying to. This is where internal networking comes in. If you’re trying to develop more experience in a different area of business, network with other employees in that department. Reach out and make it known that you’re interested in learning more about what they do. Conduct or even ask to shadow or take on a small role in a project they might be working on. Even if it is a small role, getting exposure to a different sector of your company will give you more related experience to integrate into your resume. This will open up the conversation so you can ask what department they’re in and establish rapport. From there, you can gradually build a stronger bond and point out that you’d love to grab coffee and chat about projects in your respective departments. Once you’ve opened up a dialogue with your colleagues, pay attention to little details they share with you. If someone mentions that their child was sick, make it a point to ask how the child is feeling in the following days. If someone also mentions a big project or meeting, ask how it’s going. Paying attention to little details shows others that you care, that you pick up on a lot of information, and makes people feel heard. This will help you network internally and will help build your reputation in a positive light. Often when people think about networking, external networking comes to mind, but internal networking can be extremely beneficial. The stronger your inter-office relationships are, the more success you’ll have with collaboration. This will benefit you in your current role, and can also be a big help when you’re up for a promotion or looking to make a lateral move to a different area of work.